The explosion of world-wide-web has offered people a large number of online courses, e-classes and e-schools. Such e-learning applications contain a wide variety of learning materials which make learners confused to select. In order to address this problem, in this paper we propose a context-aware recommendation framework to suggest a number of suitable learning materials for learners. In the proposed approach, firstly we present a method to determine contextual information implicitly. We then describe a technique to gain ratings from the study results data of learners. Finally, we propose two methods to predict and recommend potential items to active users. 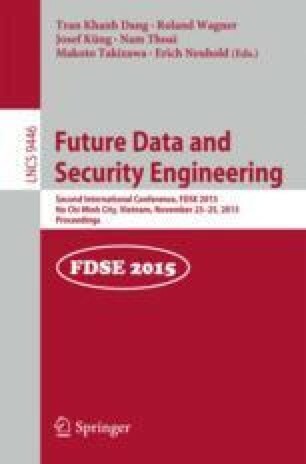 The first one is STI-GB for context-aware collaborative filtering (CACF) with contextual modeling approach combined from graph-based clustering technique and matrix factorization (MF). The second one is AVG which predicts ratings based on average calculation method. Experimental results reveal that the proposed consistently outperforms ISMF (combination of Item Splitting and MF), context-aware matrix factorization (CAMF) in terms of prediction accuracy. This research is the output of the project “Context-aware Recommender System and applying for E-Learning Recommendation” under grant number D2013-04 which belongs to University of Information Technology - Vietnam National University Ho Chi Minh City.